Intelligence in the connector – this is the Han-Smart® strategy. 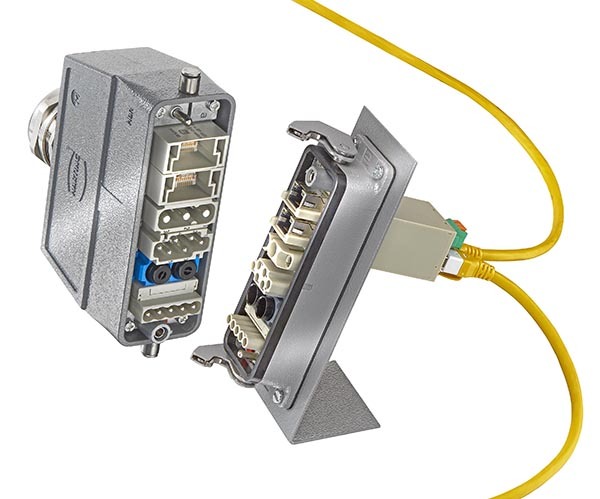 HARTING combines many years of connectivity expertise with advanced technology to extend the portfolio of established HARTING connectors. The products that will be used for smart industry applications must meet the new demands for dynamics and versatility. Manufacturing can be made more cost-efficient by strengthening communication and networking. Smart services enable the customer to minimize facility downtimes. Connectors with extra functionality can not only receive data, but can also process and forward data to other systems. They can be used in many different applications, such as machinery identification, energy measurement and surge protection. A company’s profitability depends on their ability to minimise downtimes for their facilities and machines. Unplanned outages, such as those caused by negligence, fire or overvoltage, represent significant costs. The costs associated with downtimes can escalate rapidly; they depend on the application, the particular industry, and the size of the company. According to a study in the F&B sector, unplanned outages result in average costs of 5,000 to 10,000 euros per hours (Source: http://www.videojet.de). When a machine breaks down in the automotive sector, the related outage costs can be up to 22,000 USD per minute (Source: http://www.it-production.com). 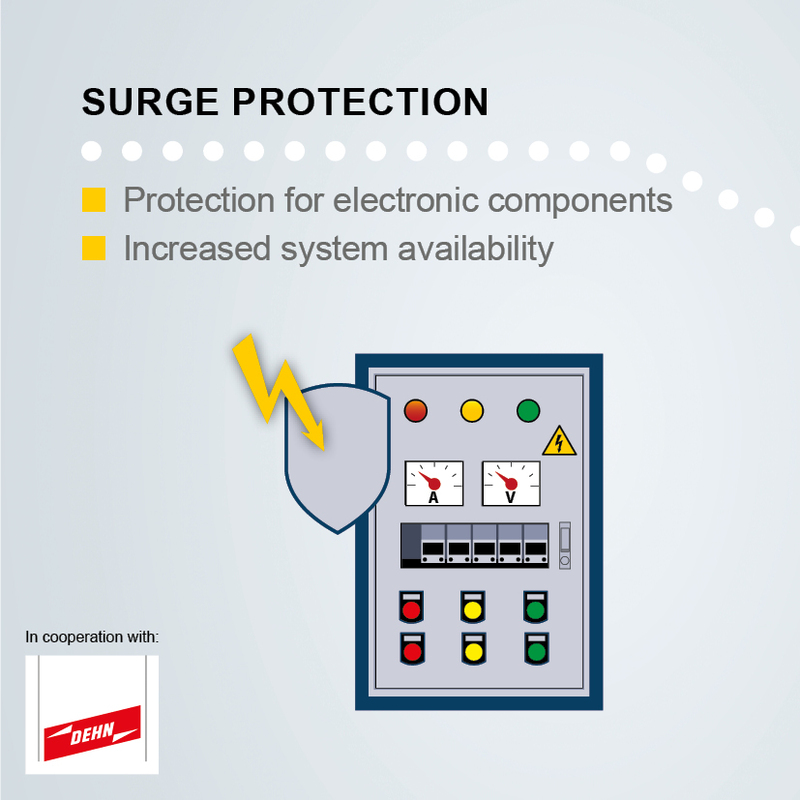 Surge protection for electronic components often requires separate, external solutions that demand more space and installation work. 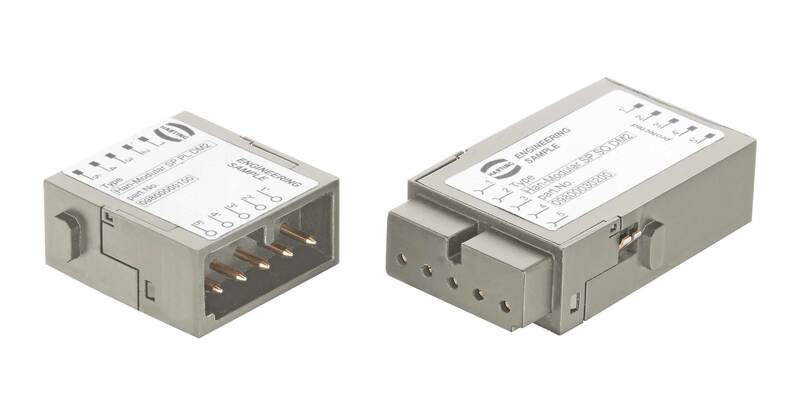 The new Han® Surge Protection Module from the Han-Modular® series adds surge voltage protection in the connector, which makes the system integration process much easier. Installation is quick and easy. The module is normally already included in the basic configuration of the connectors being used. The profitability of a complex manufacturing facility depends on minimising facility downtimes. Signals are acquired and facility conditions are communicated to relevant levels of the automation system to keep the system updated. 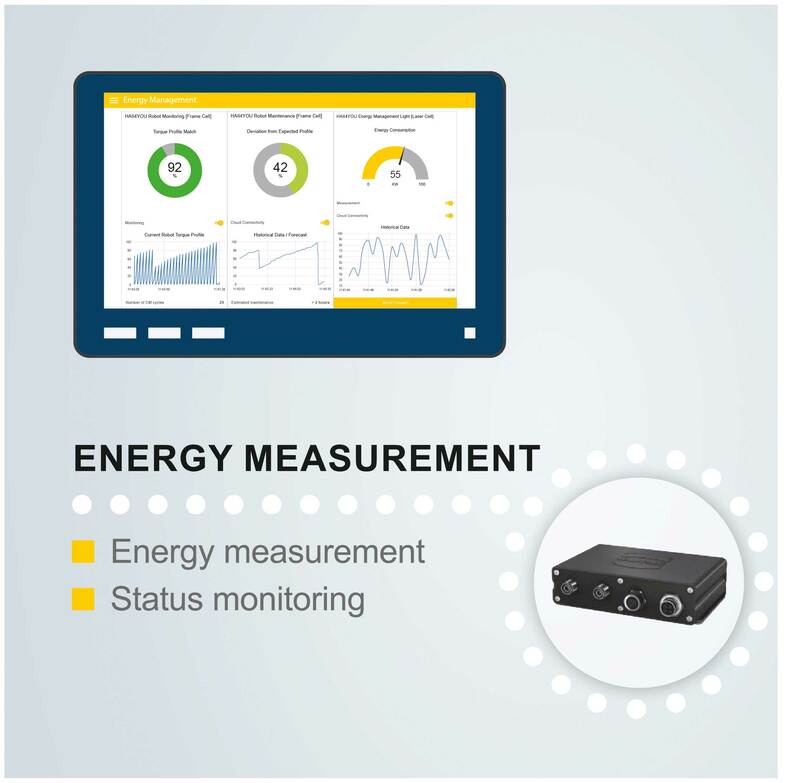 When used together with HARTING IIC MICA® (Modular Industry Computing Architecture), the Han-Smart® system also provides sensor functionality to supplement its main task – the transmission of power, signals and data. The sensors are used for detecting and analysing the physical facility variables (e.g. power consumption), thus making predictive maintenance possible. Modularly designed manufacturing equipment is becoming essential because of the increasing flexibility of industrial manufacturing. Adding such equipment to existing facilities should be an intuitive plug-and-play process. More mating cycles are required in smart factories, since machines, modules and tools must be frequently replaced. Faulty plugging can result in considerable losses of time and revenue. 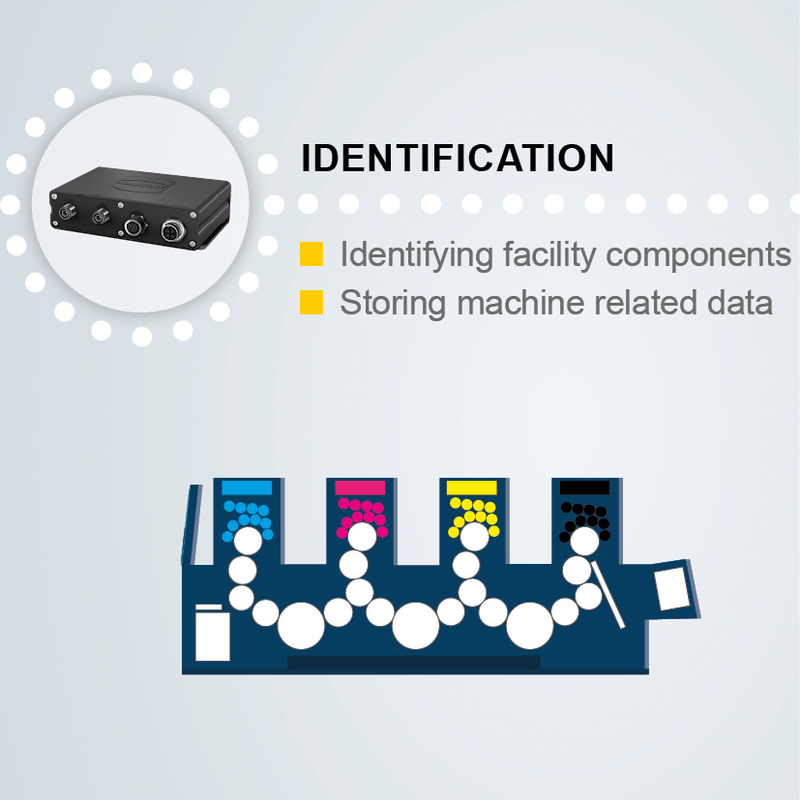 Integrated into machines that use pluggable drives, auxiliary devices and/or other components, the ID module helps to determine whether all components are connected at the right position. Sources of faults are detected quickly, so that a faulty configuration can be avoided right from the beginning. When combined with the HARTING IIC MICA® additional opportunities arise: information about the facility components (e.g. year of manufacture, revision status and other component parameters) can be saved in the ID module and be provided for an application's predictive maintenance. Manufacturing processes are becoming increasingly modularised and more flexible. Powerful, durable connections which can supply machine components with data, signals and power are essential for these processes. 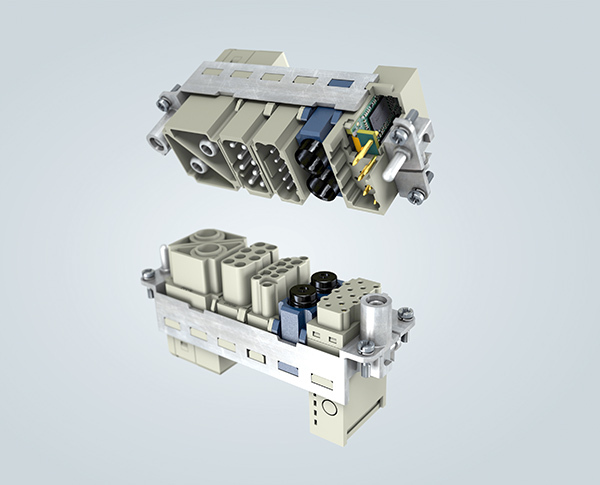 Han-Modular® has established itself as the market standard for modular connectors. Entirely new possibilities are opened up by their integration of electronic components. 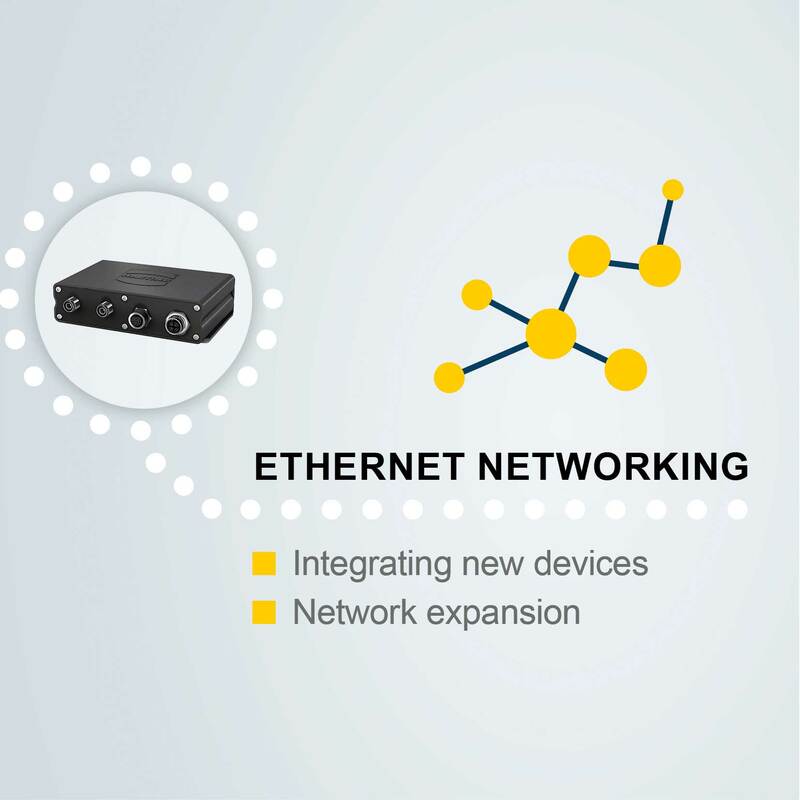 For state-of-the-art forward-looking facilities, the number of devices requiring an Ethernet supply is increasing steadily. For example, industrial image processing has become a basic technology in modern manufacturing processes. In order for this technology to be seamlessly integrated into industrial manufacturing systems, there must be an intelligent and reliable supply of power and data available. The interfaces play a crucial role here. At all levels of the manufacturing process, machine components are connected using pluggable connectors. Switch functionality is also finding its place inside such connectors. This makes it possible to install network nodes closer in the field and on-site. Subsequent installation efforts for adding new Ethernet devices are significantly reduced.